Some time ago, I made a list of what I called my Most Influential Literature. 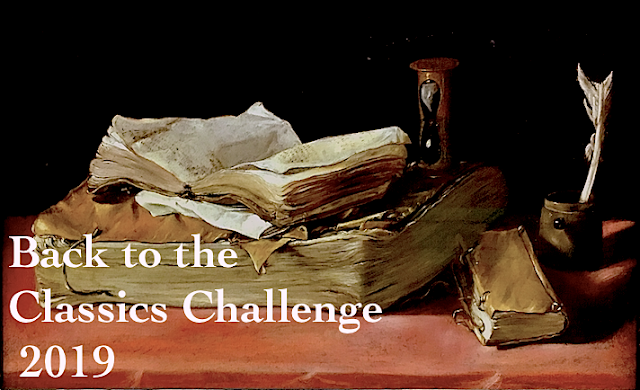 At times, there’s a FB challenge, or a blog challenge or thread that asks us to state our top 3 favorite books, or our 7 best books ever. These are difficult questions, but they always motivate me to contemplate my reading through the years, and to see what books have stayed with me and for what reasons. Those who have known me for longer than a minute, get a pretty loud and clear message that Don Quijote is my favorite book ever. Actually, many of my friends greet me with an “I’m reading Don Quijote”, or I’ve read part one and quit. Everybody also knows I’m scolding them if they have not read part II. At Goodreads, I also request to be friends with those who love this book. Bigger than life, every time I read or listen to it, I found inextinguishable treasures. Like a professor giving a podcast said about it, I laugh at different parts every time. The ability to regenerate and feel fresh this book has in a short time span, I have not experienced in any other book written by a mortal. It’s also no secret that, not second, but pair to Cervantes, I adore Benito Pérez Galdós. I’m unsure as to which book from him to pick. Not long ago, I wrote an homage post to him. It’s been 21+ years since I started reading and studying the Bible with regularity. I read it to guide me in my life, but incidentally, it has stretched my mind, improved my understanding, and facilitated and informed all my other readings. A few years ago, I started to branch out to different translations as well. Nowadays, I couldn’t live without my daily reading from Psalms and Proverbs. I’ve followed several chronological plans, and I’ve been able to complete many of those, (though last one it took me a year and a half instead of a year), but my favorite way since a year and a half or so, it’s been using Bible.com on the phone. At church and classes, and at other times in the day, I’m always seen with printed Bibles. But with bible.com I’ve been able to read on planes, at hotels, in the car, etc. It’s also very easy to change translations and Bible versions. And I add plans to it. I have a Psalms and Proverbs plan for a year, the Chronological, (it’s one that gives me readings from the O.T, N.T, and books of poetry, history, and the prophets, so I always have a varied daily menu.) There’s other devotionals to choose from. I’m also a big fan of C.S. Lewis, and in this category I’d be remiss if I don’t say one of my ultimate favorite books is Pilgrims Progress. Back to C.S. Lewis, I think his Screwtape Letters and The Great Divorce are the ones that have been my favorites in this category, along with The Silver Chair. Recently I also read Surprised by Hope, and it quickly escalated to the top books that have made a huge impression and have meant a point of growth in my life as a christian. I’m currently reading a title that may also join the ranks, but I’ll have to see what time does to it. It’s The Divine Conspiracy by Dallas Willard. Surprisingly, (or not), there’s two literature classics that strengthen my roots in the faith as much or more as books devoted strictly to christianity. They are Madame Bovary and The Stranger. I can’t read those books and not meditate about my beliefs, and be thankful for a life full of meaning, with purpose, a life without the thrills Emma Bovary was after. When I see the small things, the beautiful an insignificant things that surrounded Emma, and the love her husband had for her, I cannot but praise the Lord for opening my eyes to those things she took for granted. Most specially, the gifts of wife hood and motherhood. Emma, (like Anna Karenina), could have looked within herself, could have found herself, could have given to others, instead of taking and receiving. I appreciate her testimony of a life wasted. And The Stranger, Mersault is the incarnation of someone without morality, amoral. That’s why he’s so strange, as in alien, foreign, not human. I also thank Camus for being so sharp at exposing the hypocrisies of those who think they are better than Mersault. Mersault reminds me of Jesus and his interaction with the Pharisees. By taking that point of view, Mersault shows me the importance of not pressing the autopilot christian life button, but living in adherence to my beliefs. Two other honorary mentions would be Robinson Crusoe and Candide. Robinson Crusoe is moralizing without a doubt, and it’s so steep on its time that it’s full of rolling our eyes and raising our brows moments, -so full of deficiencies it is. Yet there’s something candid and mesmerizing. I root for Robinson, I care for him, I admire all he does, all he thinks about and goes through. Maybe because I’m an immigrant, maybe because I’m fond of ornamented and a tad convoluted language, and philosophical ruminations, but I do like this book a lot. Voltaire was determined to end the religion that 12 men had started. If that was his aim, his book Candide backfired with me, ha ha ha, for there’s nothing more inspiring to live an orderly life, than his invitation to ‘tend our gardens’ after the hyperbolic satire of the adventures and misfortunes that happen upon Candide and those he meets in life. These books are not obscure, -they are widely known, I believe, and read. They are books I consider unique in form or content. A Canticle for Leibowitz, and Catch 22. A Canticle is a book that happens in a dystopian world, among a group of monks. It’s a post-apocalyptic world, and we are invited to see the world and its changes that led to that catastrophe. Just because of the monks and the debates among them, it surely reminds me of The Name of the Rose, by Umberto Ecco, another favorite title. Catch 22, I devoured it. The humor and the sharp satire grabbed me with some force. I laughed, and it teared me into pieces too. It captures the desperation many people may have felt in the midst of war. It’s a tough read. I fear a re-read, since the first time I wasn’t that aware of the progression, and I remained entertained for a good long while. I don’t want to spoil it, I’d just say that this is a profound book with many different layers. I compare it to Candide. Candide is short as Catch 22 is long. I believe Candide for a contemporary, must have also been a difficult read. Of interest it may be to hear some of my friends with husbands in the military couldn’t read the parody the book presents. In similar fashion, I simply couldn’t read a book such as To the Lighthouse. The exploration of the life of a wife and mother done by Virginia Woolf, may have been too close home to me to be able to put it in context and appreciate the value of it. My favorite ATYPICAL book though, is The Zelmenyaners. It pains me to see how few people have read this incredible book. It could also go in the Russians category, but I find it fits well along with these previous two. It’s a family saga that spans from the last years of feudal Russia, until the beginnings of Communist Russia. It’s a jewel of Yiddish literature, and a world wide classic that it’s totally underrated and overlooked. When I read about it, the reviewer quoted a passage from a chapter devoted to a spoon. This made me think of Mariam Petrosyan’s chapter in her book The Gray House, where she opens with a brilliant piece about a plastic bag. These are two sad and poignant books that haunt me since I read them. My Name is Asher Lev, and The Heart is a Lonely Hunter. Two books you’ll never ever forget. When I think about both, I can’t help but think about the author Shirley Jackson. I’ve read all her short stories plus her novel, We Have Always Lived in the Castle. I salute the immense skill these three authors have to capture the twists and turns of the human heart. Also overlapping with the coming of age previous categories, are my two favorite authors, Ray Bradbury and John Steinbeck. Nostalgia, poetic prose, sadness not void of hope, they aim straight to the heart, and they never miss. And how can I forget about In Cold Blood? Here I am going to be ambitious, and say that all Jane Austen, the Brontes, and George Elliot are authors I couldn’t live without. The ladies take it all. Yes, I have enjoyed some Dickens, and Trollope, and Thackeray, and Wilkie Collins, yet there’s some added depths in these women that make any and all of their books worth revisiting and impossible to erase from the collective and from my personal mind. I’m happy to report I can’t live without poetry anymore. From A.A. Milne to Machado, and trying to get at everything I can in the middle and pass those two! I feel like a small drop in an ocean when it comes to reading poetry, but I’m happy to be where I am. Haiwatha, The Magic Pudding, (both rhymed), Wind in the Willows and Alice in Wonderland are my comfort books, books my girls have loved as well. 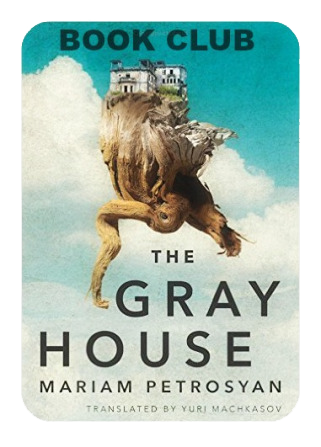 This is such a broad category, but if pressed to pick a few, these are the ones: Cancer Ward, The Brothers Karamazov, and The Gray House. All these books are long, and yet they seemed short to me. I could have stayed in them for longer. They have in common that Russian bigger than life spirit, and they are different explorations and exposures of the human heart. I still have deep memories of these books, they’ve made me the reader I am, and I am both curious and a tad frightened about revisiting them. I haven’t read much more Latin American literature ever since I moved to the US. 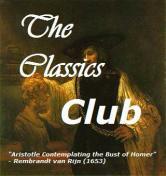 I’ve focused more on classics in English, and the many books I read to my daughters. But I got to read a book I always thought it was a total bore. I couldn’t have been more mistaken. El Llano en Llamas is just a jewel. If one were pressed to name a novel that embodies not just Mexico, but the Hispanic spirit or soul, I’d dare to say this is the book. These are books in their own category, older than my usual classics, we don’t have those many yet they are enough as to have us reading them forever, -in different translations, or however you can reach them. Homer’s Iliad and Odyssey, The Art of War, In Praise of Folly, and Marco Aurelio’s Meditations are as old as they are fresh. Fascinating, deep and humorous, along with other classics like Plato, -all other Greek philosophers, the play writers, the historians, the christian writers, up until Dante’s Divine Comedy, one could just read them over and never tire. Those books that raise above the rest in terms of quality. All Ishiguro, most specially his The Remains of the Day. Such a vast category. One I haven’t even started to explore. In it, I’d mention first and foremost, The Makioka Sisters is a book that has stayed with me forever since I read it. And 1001 Arabian Nights. If I start thinking about non-fiction, I don’t know where this list will end up. But I will mention two books, just because they are also newer titles, well written, and books that are teaching me and showing me a side of the world I’m totally ignorant about: Nothing to Envy, and A Moonless Starless Sky. It’s been great to think about my favorites in couples or clusters, or in terms of authors versus titles by them. Whew! Silvia, you are the most well-read person I have ever known. I am a curious person who happens to like reading. Yes, Kelly. There’s such a thing as burnt out. You inspire me always, A Canticle, Sayers mysteries, I Robot. Lol, I forgot to add a few SF faves. Oh, well. I hope you put some fun in your reading life. You have an amazing list of books Silvia and it is amazing how one books leads to you to another book and this opens a new world for you. Ina, you are so sweet. You could have titled this “The Books that Made Me” and it would have been as true; I feel that through the titles of favourite books one gets to know the person through and through. Thanks for sharing, Silvia, and letting us know more about you and your essential self; I may even get round to doing something similar about myself some day! Now you need to do yours, hehehe. What a wonderful post Silvia, and such fascinating choices of books. It’s so hard to choose among all those Russians…. Tell me about it. It was hard not to start filling in the categories. And as I published it, I realized I left out SF, and biography, AND travel books… impossible task. Sigh. I would love you to do a post with your favorites, and I know if you do it and I read it, I’ll want to read all yours too, he he he. Oh, this was such fun to read! I love hearing/reading about other readers’ journey’s through books. Each journey is unique and yet there are always books to find in common. I’m so behind on my blog reading!!! I always love reading about peoples’ favorite books! Alice in Wonderland and Through the Looking Glass are still two of my favorite read-aloud books! Wow. I am definitely going to be referring to your list here. I’m late to reading good literature. I gave up on reading after high school but started to read more when I began homeschooling my kids. My library keeps growing along with my craving for good books. I’m so thankful for audio books! I seem to always have earbuds in these days. I have a 13yo boy (named Alonso!) who I want to introduce to Don Quijote. We’ll probably start with a children’s story and include my 9yo. My son is about 80% bilingual, but weaker in Spanish reading and literature (Maybe a 5th grade level). By 9th grade (next year) I’d like to have him read Don Quijote in spanish. Do you recommend an abridged/edited/easier version for a 14/15yo? Maybe a bilingual version? Also- what is this podcast you mention? Could this be an option to read along with? I’m sorry to bombard you with questions. It’s been a little bit of a challenge to figure out how to teach him in a bilingual way since I am not very good at Spanish, but his dad is Honduran and we live in Honduras. His dad is not a strong reader so I am a little on my own with the teaching part of things. Congratulations on reading good literature, on homeschooling, and most specially on your bilingual son. I’ll trust whatever you recommend! I also found your other post specifically about DQ https://silviacachia.wordpress.com/2018/03/05/don-quixote-my-classic/ . Very helpful!